On Sunday, Ole Gunnar Solskjaer went into the fox's den and wrestled away a win. It means that United have now secured 22 of the available 24 points under the Norwegian and are on a brilliant run since his appointment in mid December. 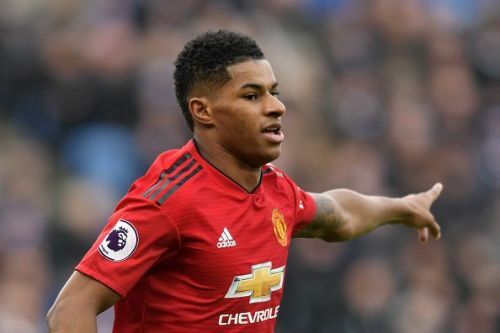 When the January transfer window closed without any defensive reinforcements for Manchester United, a lot of fans were worried. Even though the leak at the back had temporarily stopped under their new boss, United still looked vulnerable at the back in recent games. Solskjaer had reiterated his satisfaction with the squad at his disposal and true to their gaffer's belief, the United team managed to come away from the King Power Stadium with a precious clean sheet. Even though they rode their luck on a few occasions, the Red Devils were the better team on the night and deserved the 3 points that took them to 5th position in the table. On a night when United were not at their brilliant best, 5 men stood up above the rest and took charge of the proceedings. Today we take a look at the 5 men who won the game for their Norwegian manager. After the antics of Phil Jones against Burnley, Solskjaer put the English defender on the bench and started with Eric Bailly alongside Victor Lindelof. It was a move that looked like the correct decision as soon as the game started, because Bailly's speed and strength was what was required on the night for United. The Ivorian has played alongside Lindelof before and those two are probably United's safest defensive pairing. On Sunday, Bailly was back to his best, even though there is still an eccentric side to his game. However, his presence ensured that United were always comfortable no matter how hard Leicester knocked on the door. Bailly's greatest strengths are his speed and physicality. 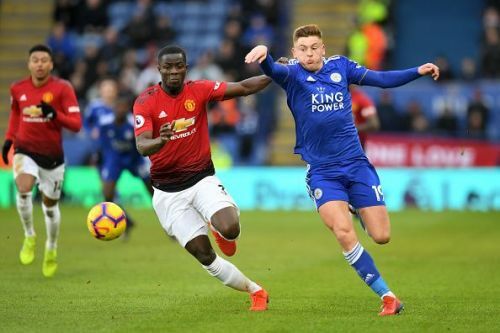 Against Leicester, he was the steel that United needed alongside Lindelof, as the Ivorian threw himself at the ball on quite a few occasions to stop Leicester's attacks. His fearlessness is a welcome addition to this United defense and Bailly was an essential component of the United team that came away with a clean sheet.